Yang Kan and Lu Jian were wreathed in the aura of Yang Kan’s breakthrough as Yang Kan carried him through the thick, colorful mist into the next segment of the swirling band. The six crimson stone columns morphed into a streak of flames and flew back to him right before he disappeared into the misty barrier. However, due to the sudden appearance of the Flame Dragon Armor, each of the six stone columns were forcibly drained of their earthflame crystal strings, which eventually converged on the dragon bone at the central chest area of the Flame Dragon Armor. The series of quick changes flabbergasted everyone present. By the time they came back to their senses, Yang Kan and Lu Jian were already nowhere to be found. After a moment of silence, Dong Baijie said with a grim expression, “That guy had actually been at the peak Greater Heaven stage this whole time, and he was able to make the breakthrough at any moment. Apparently, he had been suppressing himself from entering the Worldly realm. He must have been waiting for something to happen and looking for the right time. The Flame Dragon Armor floated high in the air, where wisps of earthflame essence and earthflame crystal strings were still converging on it. As the crystal ball discarded by Yang Kan lost all of its earthflame essence and earthflame crystal strings to the Flame Dragon Armor’s Blood Core, it exploded. In fact, he had been hesitating before Qin Yan revealed his true identity. The moment Yang Kan’s six crimson stone columns had flown out, and he had seen the earthflame crystal strings slithering within the engraved magical beasts in them, he had sensed the Flame Dragon Armor’s joy and yearning. When Yang Kan had taken out his crystal ball that had been filled with earthflame essence and earthflame crystal strings, the Flame Dragon Armor grew even more thrilled. The reason he hadn’t unleashed the Flame Dragon Armor to absorb all the earthflame essence and earthflame crystal strings was that he had been hesitant to reveal his true identity. Just as he had been weighing the pros and cons of it, Feng Ying had once again called out to him for help. The fact that he had ignored her call for help and his previous refusal to help them had finally enraged Qin Yan, who had then revealed his true identity. Having the decision made for him, he had summoned the Flame Dragon Armor, which had not only broken the Spiritual Hexaflame Formation effortlessly, but also absorbed all of the earthflame essence and earthflame crystal strings it could find. However, he hadn’t expected that, as one of the core disciples of the Flame God Sect, Yang Kan actually had more cards to play. After he had realized that his Spiritual Hexaflame Formation was a lost cause, he had recognized the unfavorable situation he was in, and known that if he had continued to stay, he would have soon become the target of everyone. Therefore, he had made the breakthrough without any hesitation, which had worked out for Lu Jian from the Spirit God Sect as well, since he had luckily left as Yang Kan’s tag-along. Yang Kan’s decisiveness and calmness at the crucial moment had deeply impressed Nie Tian. He secretly categorized Yang Kan as one of his most formidable opponents. “Senior martial brother!” the other two Flame God Sect Qi warriors cried out at the tops of their lungs as they watched Yang Kan disappear into the thick mist. The fact that he had taken the brazen Lu Jian instead of them made it clear that he had attached little importance to them, and left them to die. At this moment, as the six crimson stone columns disappeared with Yang Kan, the flame ward disappeared along with them. Dong Kang, Cao Qiushui, Gu Haofeng, Qian Xin, and the others who had arrived after them rushed into the colorful area and vented their anger on the two Flame God Sect disciples that were left behind. Not only were Qin Yan and Feng Ying instantly relieved of their crisis, but they worked together with the others to trap the two Flame God Sect Qi warriors. Dong Baijie let out a sigh, but didn’t say anything. He also deemed it was a rather rotten thing for Qin Yan to reveal Nie Tian’s true identity and put him in danger just to save herself. She could have gone another way. “How are you doing, Nie Tian?” Dong Li asked concernedly. At this moment, the Flame Dragon Armor had already gathered every last wisp of earthflame essence and earthflame crystal string it could find. After the satisfying feast, it circled around in the air and flew back into Nie Tian’s ring of holding after failing to identity any new targets. Instead of answering Dong Li right away, Nie Tian briefly communicated with the Flame Dragon Armor, and then his eyes lit up. From the message he received from the Flame Dragon Armor’s soul, he learned that the Flame Dragon Armor would recover its peak state after refining the earthflame crystal strings and earthflame essence it had just absorbed. Furthermore, with a joyful tone, it also told him that the earthflame crystal strings would help it grow and transcend. Afterwards, the Flame Dragon Armor’s soul took the initiative to end the communication with him and focused wholly on refining the earthflame essence and earthflame crystal strings. “I’ve sustained some injuries, but nothing major,” Dong Li said, pointing at her shoulder. Her tender shoulder had been pierced through by one of the earthflame crystal strings earlier. Blood was still coming out of the charred puncture wound, along with a pungent, sulphuric smell. 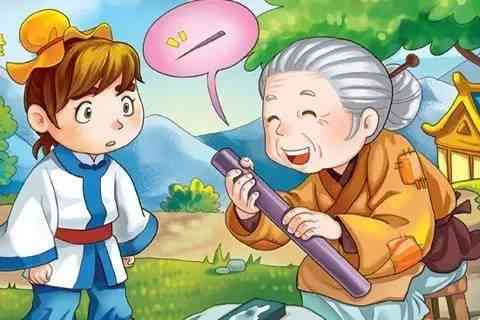 “Let me help you.” With these words, Nie Tian reached out one hand and held it over the puncture wound as he practiced Heavenly Wood Heal. Vigorous life force instantly flew out of Nie Tian’s fingertips and into Dong Li’s wounded shoulder. Like slow, warm currents, the vigorous life force slowly infused into Dong Li’s flesh and bones. Wherever it flowed, damaged tissues healed at an alarming speed. Dong Baijie, who was standing beside them, could actually see his younger sister’s open wound heal after Nie Tian held his hand over it. Dong Li’s eyes flickered with disbelief as she felt the miraculous changes happening in her shoulder. Meanwhile, she couldn’t tear her eyes away from Nie Tian. Astonished, Dong Baijie hastily stepped forward to check his sister’s wound carefully. He even subconsciously touched it. He discovered that the puncture wound caused by the earthflame crystal string was fully healed, not even leaving a scar. “How in the world did you do that? !” he exclaimed. “It’s a wood power healing magic,” Nie Tian answered casually. “As far as I know, even those who are born with outstanding wood power cultivation talent can mostly only heal themselves,” Dong Baijie said, eyes wide. “Only when they’ve reached peak cultivation domains will they be able to occasionally heal others with their wood power. “But this is...” Dong Baijie said with mixed emotions. At that very moment, miserable screams echoed out as the two Flame God Sect Qi warriors, who had been left behind, were killed by the crowd. Upon hearing his words, the noisy crowd fell silent. Feng Ying snuck a glance at Nie Tian before pulling the tip of Qin Yan’s garment and asking in a low voice, “Big Sister Qin Yan, how did you know that Mu Han was Nie Tian? Also, he clearly tried very hard to hide his identity. I’ve heard that people from the Heaven Palace Sect and Flame God Sect are all looking for him. Qin Yan let out a sigh and said softly, “You saw it yourself that he only wanted to help Dong Baijie and Dong Li, and didn’t care whether we lived or died. If I hadn’t revealed his identity and forced him to break the Spiritual Hexaflame Formation with his Flame Dragon Armor, the others would have still been kept out of here. “It wouldn’t have taken long before we died under Lu Jian’s insidious sneak attacks. With these words, Qin Yan slowly stepped towards Nie Tian with an apologetic smile on her face. “Nie Tian, I hope you understand that I didn’t do it to put you in danger. I simply ran out of options. If you didn’t summon your Flame Dragon Armor, there was no way we could have beat Yang Kan.
“Plus, all that earthflame essence and those earthflame crystal strings will be very helpful to your Flame Dragon Armor, right? “Alright, tell me what you’re going to do if those from the Heaven Palace Sect learn about Nie Tian being here with us?” Dong Li asked with a cold tone. “Who would know that if none of us say anything?” said Qin Yan. “I’ll do my best to talk to Haofeng,” Qin Yan said with a guilty look on her face. Tale: There is a stream below the XiangEr (elephant ear) Mountain in Meizhou, called MoZhen (needle grinding) Stream. (Remind this is a geographic book.) It was said that the origin of this name is that once the great poet Li Bai was learning in the mountain. He then could not remain committed to learn the meterial and leave to play around. He passed a little stream, where he met an old woman who was persistently grinding an iron pestle. Li Bai asked her what was her doing. The old woman answered: "I'm trying to make a needle out of it. Li Bai was deeply moved by her spirit of persistance. He returned and finished his learning task. It was said by herself that the old lady's family name is Wu. And there is a rock called The Rock of Mrs. Wu alongside the stream. This idiom tells us that perseverance leads to success.